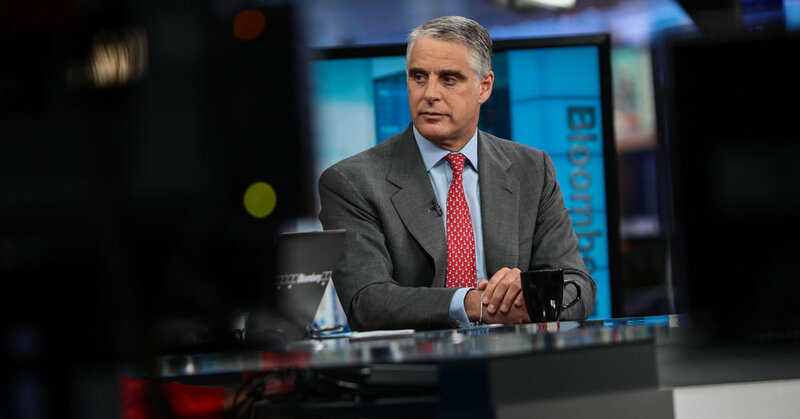 Andrea Orcel is Europe’s most famous investment banker, a suave, brash and fabulously wealthy dealmaker who counts many of the Continent’s chief executives as his longtime clients. Last fall, he agreed to become one of those C.E.O.s. He accepted a job running the day-to-day operations of Banco Santander, a sprawling European and American lender whose ruling Botín family is one of Mr. Orcel’s oldest patrons. On Tuesday, that deal unraveled — doomed by an extraordinary public spat over who would pay Mr. Orcel the more than $50 million in deferred compensation he was owed by his previous employer, the Swiss bank UBS. It leaves Mr. Orcel without a job and leaves his once-high-flying career in limbo. Mr. Orcel, who did not respond to requests for comment, was scheduled to become Santander’s chief executive early this year, working hand in hand with the bank’s executive chairwoman, Ana Patricia Botín. Mr. Orcel had spent the past seven years at UBS, heading investment banking, but resigned after Santander said it was hiring him. At a time when executive compensation is under growing scrutiny all over the world, Santander’s decision represents perhaps the highest-profile instance of a corporation rescinding a job offer because it was worried about the blowback from a rich payday. If it had gone ahead, Santander would have had to seek shareholder approval for Mr. Orcel’s compensation package. Senior executives feared that its nine-figure size would spark an investor uproar, especially among the bank’s large contingent of individual stockholders, according to a person familiar with executives’ thinking. A native of Rome, Mr. Orcel spent decades building a long list of boardroom contacts, especially in Southern Europe. He orchestrated some of the world’s biggest corporate transactions. He even looks like an investment banker out of central casting: He wears tailor-made shirts, suits and silk ties; his salt-and-pepper hair is impeccably groomed; and he sprinkles his speech with references to luxury brands. Mr. Orcel’s most famous — or infamous — deal was the 2007 sale of the Dutch bank ABN Amro to Royal Bank of Scotland and other banks. Mr. Orcel at the time was a senior investment banker at Merrill Lynch, and he helped shape the roughly $100 billion transaction on the eve of the financial crisis. It ended up saddling some of its acquirers with crippling losses that necessitated government bailouts. Among the only winners in that transaction was Santander, which bought ABN’s Italian operation for less than $10 billion and then, months later, sold it to another bank for more than $13 billion. In 2012, UBS hired Mr. Orcel to help overhaul its beleaguered investment bank. It was an expensive hire; the Swiss bank paid $26 million to make up for deferred compensation Mr. Orcel forfeited by leaving Merrill. At UBS, Mr. Orcel was greeted warily. Within months, he elbowed out his partner and became the sole head of investment banking. His colleagues at UBS were awe-struck by Mr. Orcel’s rainmaking but were less impressed with his sometimes-brusque management style. When Santander announced it was hiring Mr. Orcel last September, analysts said the move could augur another round of acquisitions by the Spanish bank. UBS, however, was not thrilled to lose a top executive. The Swiss bank enforced a provision in Mr. Orcel’s contract that required him to take a six-month break, known as gardening leave, before defecting to a rival business. The move angered Santander executives, who viewed the maneuver as a needless jab at a longtime client of UBS. But money turned out to be the bigger problem. During his seven years at UBS, Mr. Orcel racked up well over $50 million in deferred compensation, which the bank promised to pay him in the coming years. When Santander hired Mr. Orcel, it agreed to pay him whatever amount UBS didn’t. Santander executives and board members figured that UBS would pay most of the deferred compensation and that Santander’s share would be relatively small, according to people familiar with Santander’s deliberations. UBS, however, balked. After months of negotiations, executives at the Swiss bank informed Santander last week that they would not pay anything. That left Santander and Mr. Orcel with a choice. Either he could waive some of his deferred pay, or Santander could make him whole. Mr. Orcel wouldn’t give up the money.